I just received this beautiful new five-star review for my novel, MATEGUAS ISLAND. Reviews are incredibly important, especially for an independent author like myself who has no big publishing machine behind her making sure the word gets out. Thank you, Joy Shelton-York, for taking the time to let people know how much you enjoyed my work. I enjoyed this story so much, I could hardly put it down. The main characters, Karen and Bill, are believable and relatable. The author takes the appropriate time to develop this married couple with all their likability, humaness and flaws. There is a perfect blend of realistic family and paranormal struggles that keep you engaged and often on the edge of your seat. Their move to the Island of Mateguas seems like a timely gift to the financially troubled family, but unforeseen forces prove otherwise. The introduction of Maggie, the beautiful island school teacher, and Dex, the handsome local fisherman, add additional conflict to an already strained marriage. The suspense builds as the mysterious legends emerge from the locals and unexplainable things begin to happen. The intrigue intensifies as the 8 year old twins find a mysterious box hidden in the house. It is an exciting and well-crafted story. I highly recommend and thoroughly enjoyed it! 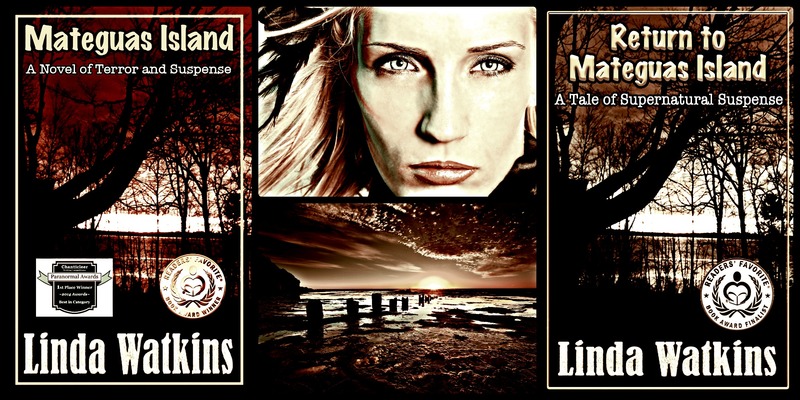 MATEGUAS ISLAND is available in print, eBook, and audiobook formats at Amazon and Barnes&Noble. It is also available in eBook format only at iBooks, KOBO, and Google Play. Locally, the paperback version is available at THE BOOKMAN in Grand Haven, MI and at BARNES&NOBLE in Muskegon, MI.